Figure 8.31. Mucosal hyperechoic striations. 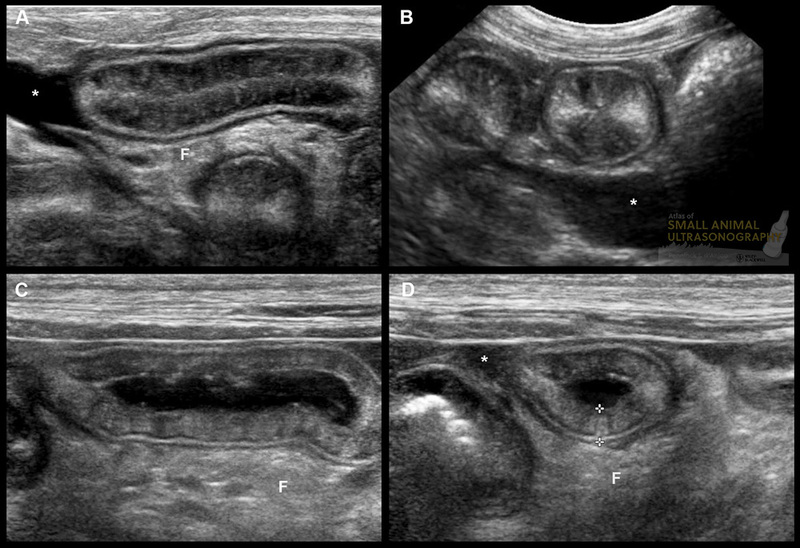 Longitudinal (A) and transverse (B) sonograms of thickened jejunal segments with hyperechoic linear striations within the mucosal layer of a 5 year old French Bulldog. The striations represent dilated lacteals. This dog had a long history of inflammatory bowel disease. Peritoneal effusion is present (*). 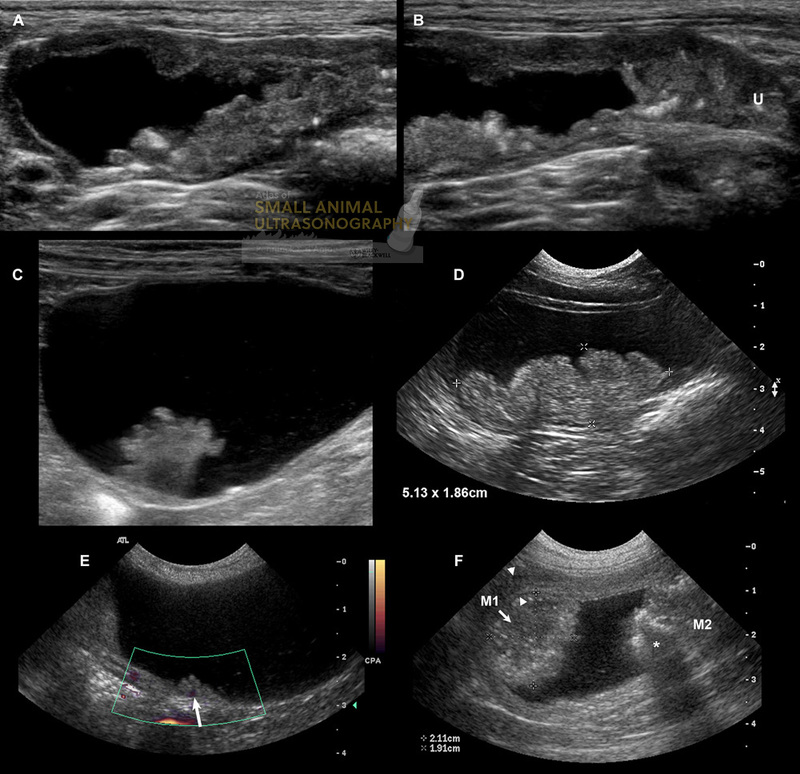 C and D: Similar but more severe findings are present in this 9 year old Jack Russell terrier presented with protein losing enteropathy. Note the thickened and hyperechoic adjacent fat (F), often present in these cases. Would you diagnose this as lymphangectasia then?